The Art of Burning Man, an art exhibition that has been on display at Norfolk’s Hermitage Museum since June, will come to a close October 14. 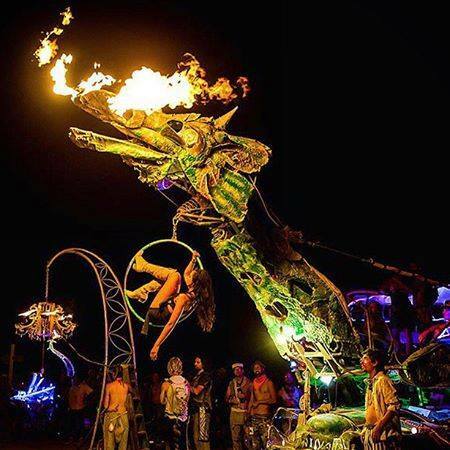 A multi-media pageant, the exhibit features curated original art pieces from the annual Nevada-based Burning Man festival, costumed characters, music, and as one would expect with anything with the name “Burning Man” in the title, the exhibition is set to end on a high note. The museum, along with Alchemy Underground and the Burning Man organization themselves, is planning a massive closing party to celebrate the art and community surrounding Burning Man. 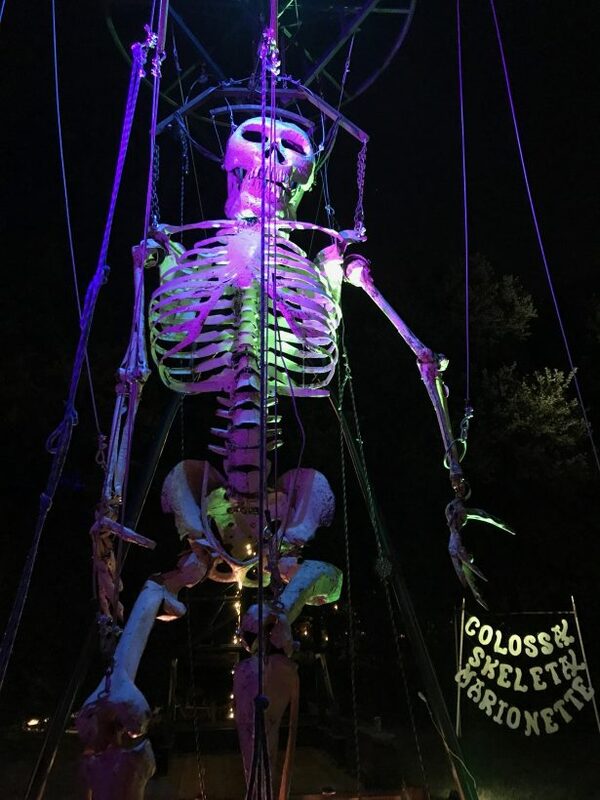 “[We’re] opening up access points for all different types of folks to be able to take a peek into this sort of weird and sort of self-sufficient group of weirdos and creative makers that make the biannual ceremony happen in the desert,” said Charles Rasputin, an event organizer from Alchemy Underground. 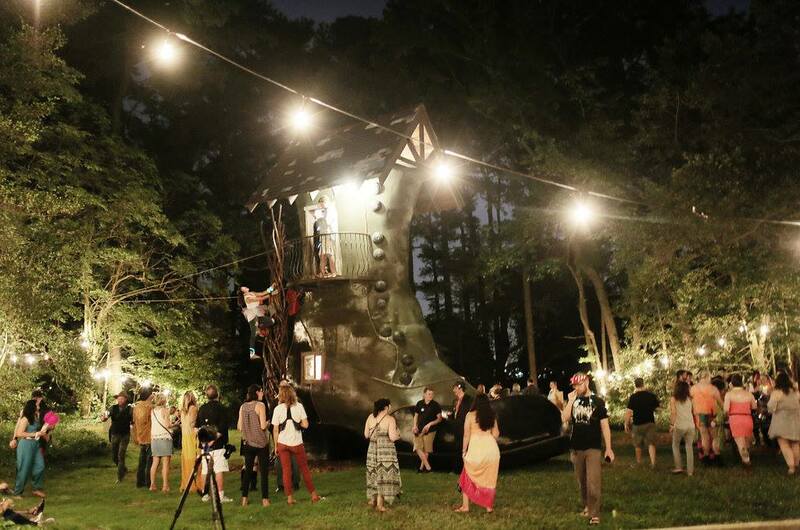 RVA Mag has covered the Art of Burning Man exhibition in the past, though this event aims to be something even more special for partygoers. The lineup of entertainment is set to include Party Liberation Front, DJ Conway Jennings, electronica artist Karacell, a jazz band named JANKS, and much more. 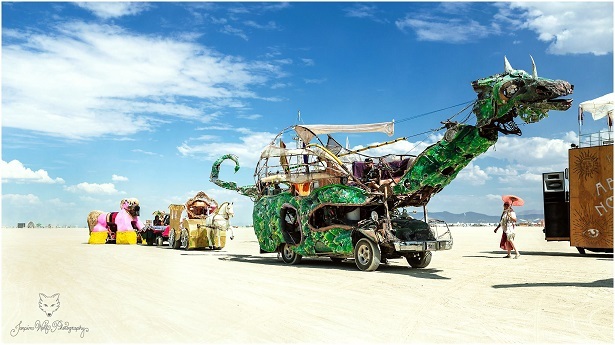 The event will also feature an appearance by Davina the Dragon, a fire-breathing art car that has been a mainstay at Burning Man events. Six sculptures will be displayed outside of the museum, with four of them lighting up at night. All of the artists are set to appear at the event, according to Jennifer Lucy, marketing manager for the Hermitage Museum. Executive Director of the Hermitage Museum, Jen Duncan, was interested in the art displayed in Burning Man and contacted their organization around the time that Burning Man was looking to expand their reach. Rasputin said one of the goals of Alchemy Underground was to provide a space for people of all types of backgrounds and cultures to participate in the exhibition. Online tickets cost $50 and can be purchased here. Deadline to purchase online is Thurs., Oct. 13, and after that tickets are $75 at the door. More information on the event can be found on the event’s Facebook page.